The Acapulco Mini Chair by OK Design has the same features as its bigger counterpart in terms of elegance and durability. 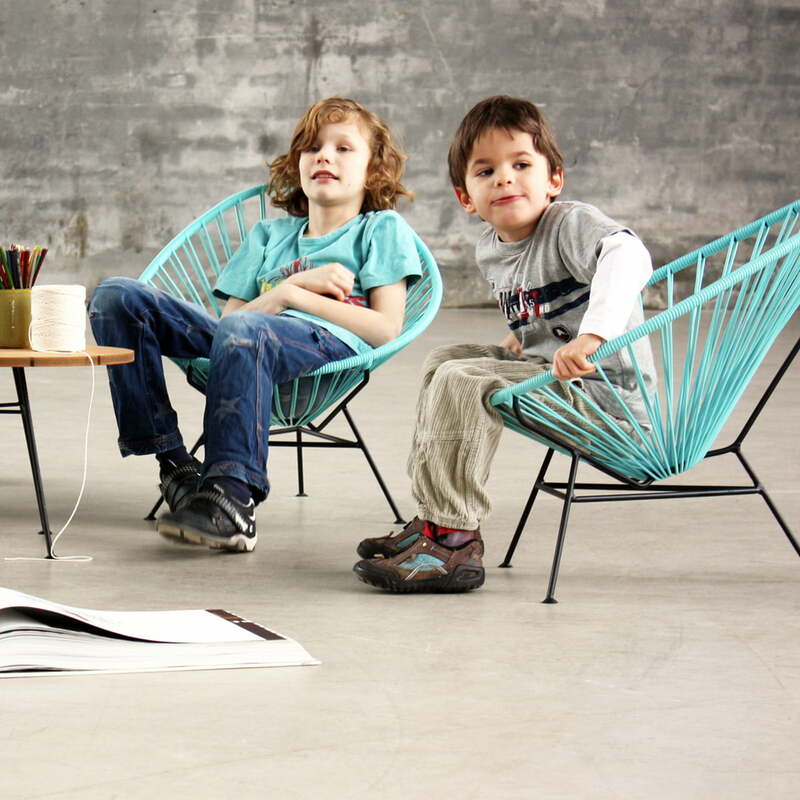 Only its size is a bit smaller, so that it is the perfect chair for children. Just like the classical Acapulco Chair the smaller Acapulco Mini has the name of its Mexican home Acapulco. The district Acapulco in Mexico City used to be a place where the beautiful and rich lived, and also the Hollywood elite was often there. 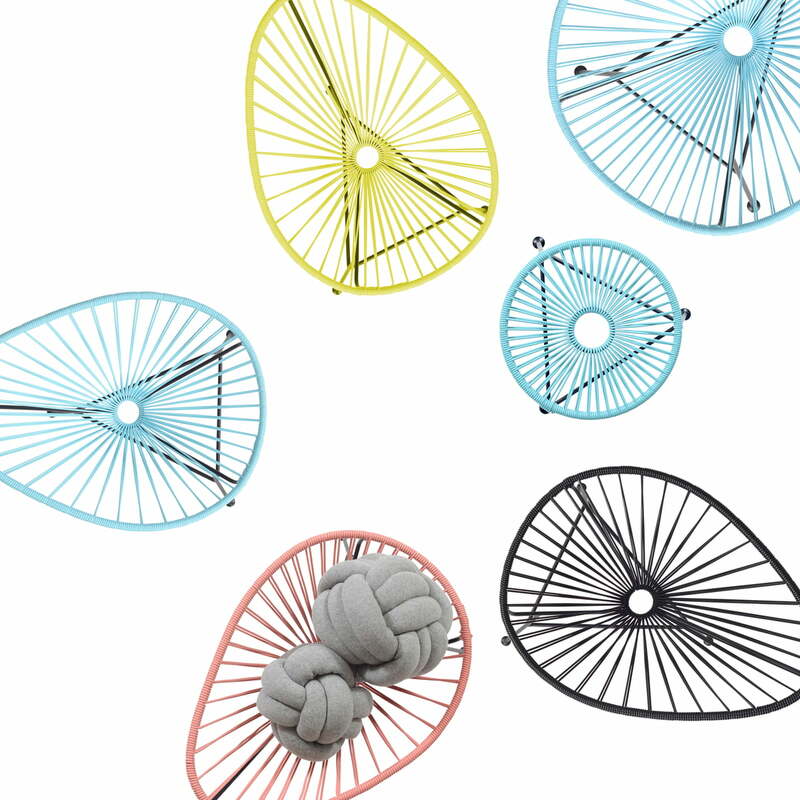 The Acapulco Mini Chair looks good not only in the children's room, but also in the garden or on the balcony. For the production only high-quality materials free of phthalates or heavy metals are used. Its PVC coating is weather proof and UV-resistant and the powder coated steel is extremely durable. That is why the Acapulco Mini Chair can easily be used outside. The construction of the chair is so lightweight that it can be carried around without any problems. Group product image of the Acapulco Mini Chair. The Acapulco Mini Chair is available in various colours that can be excellently combined with one another to create a stylish ensemble. Acapulco - The Acapulco Mini Chair, light blue The Acapulco Chair is a breath of fresh air in the children’s bedroom thanks to its variety of colours. 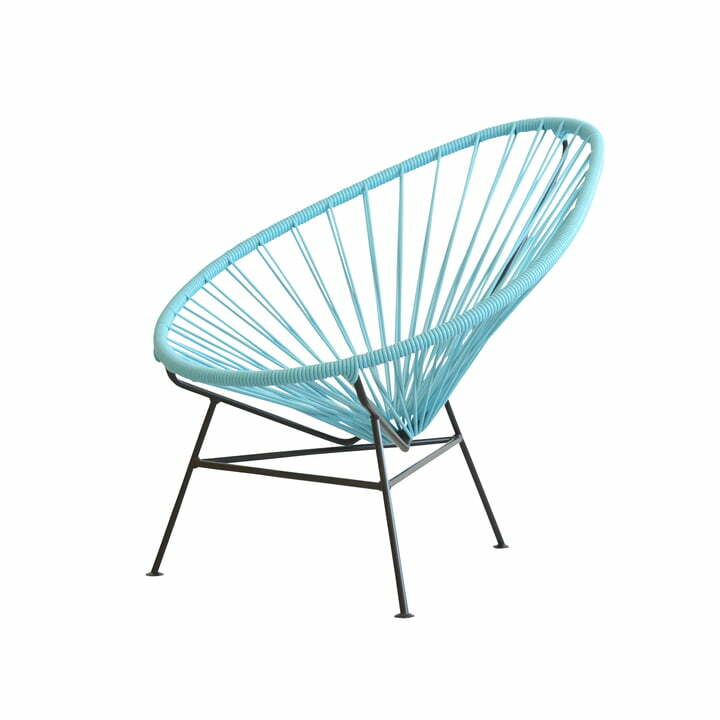 Lifestyle product image of the Acapulco - Acapulco Mini Chair, light blue. 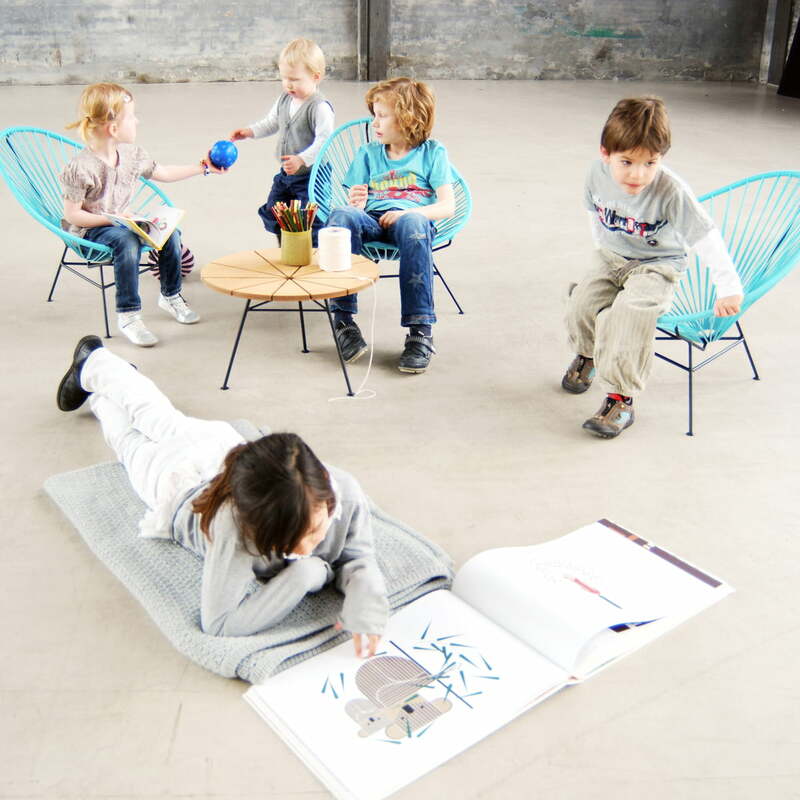 The Acapulco Mini Chair is the perfect size for children and is ideal for playing and relaxing.